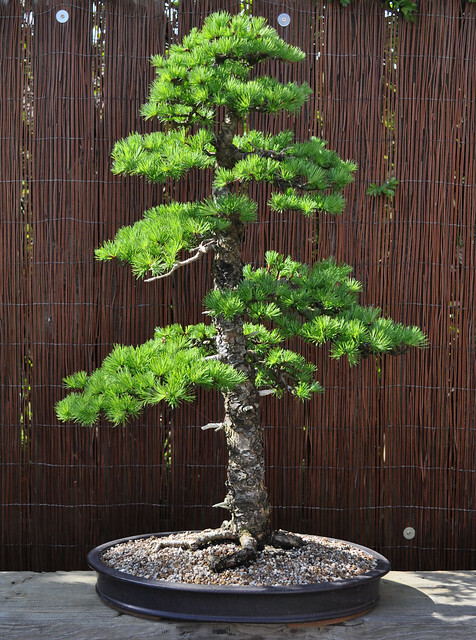 As I have a few Larch I call this one Tall because, you guessed it, it’s the tallest one I have. I bought this tree about 10 years ago from Robert Porch in Scotland. It had been styled a few years previous but had become overgrown again. 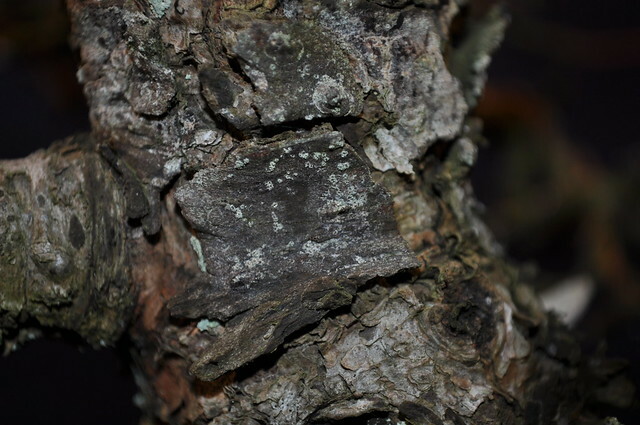 It was collected in Scotland and the main attraction for me was the quality of the bark. It was always going to be a formal upright (or as near as makes no difference) but I was happy with this at the time. After it’s First styling by me way back in 2003. 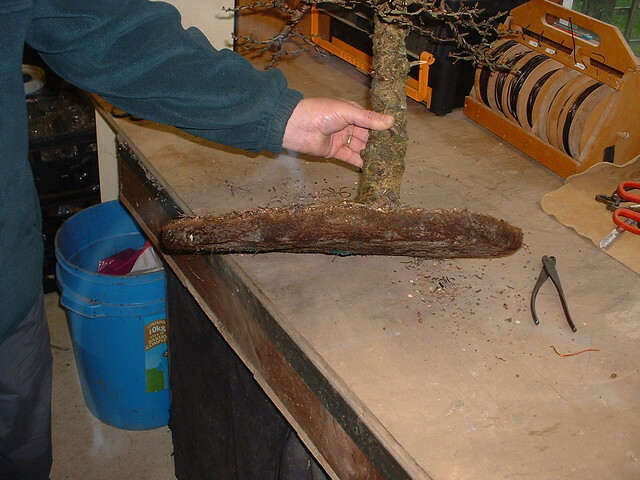 The roots at first repot in 2003. The pot ad to go back to Robert as it wasn’t part of the deal. A pity it was Derek Aspinel I think. 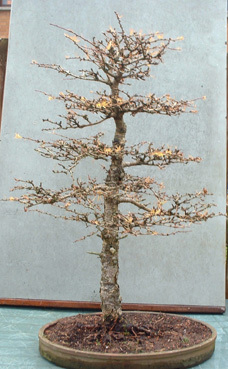 This is it in November 2003 after removal of the Wire and showing some Autumn colour. 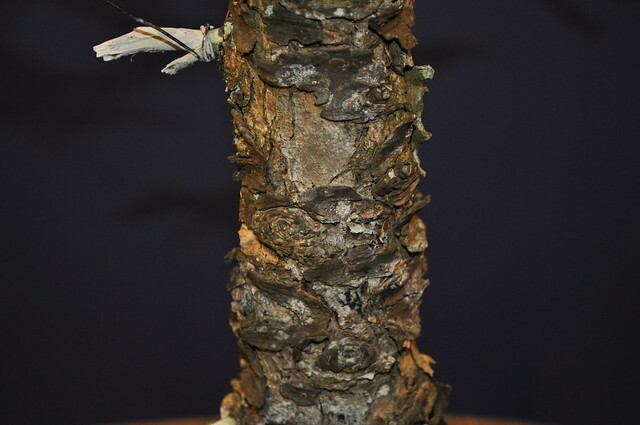 Some detail of the bark. It’s current image in 2011.
fantastic job man i love that specimen and larchs in general but that one is amazing real good work well done!!!!!!!!!!!!! Thanks Devan, keep watching, it will be getting a major refinement of the branch structure after needle drop at the end of the year. In your opinion which soil mix I should use? 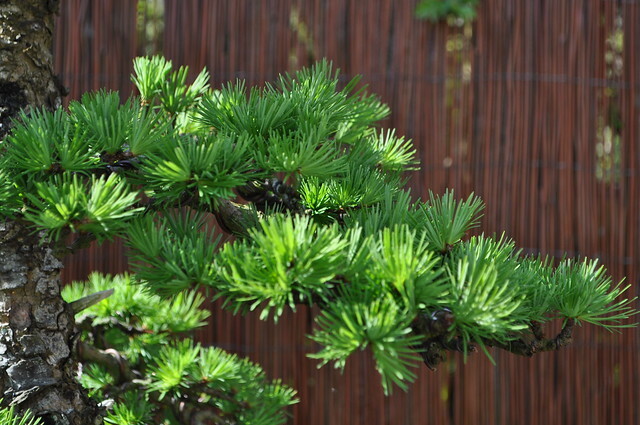 Hi, Nice little Larch you have there. 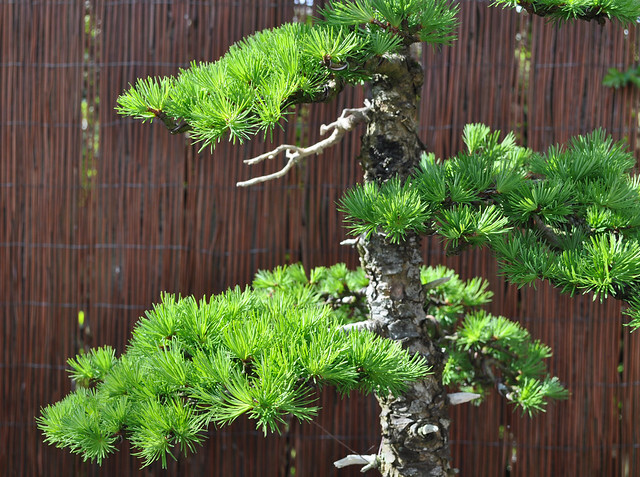 I use 50/50 akadama and grit for Larch. Good job, fantastic and very natural tree. Thanks Salva, It had just had a year of free growth and will be getting a major restyling this Autumn after needle drop. 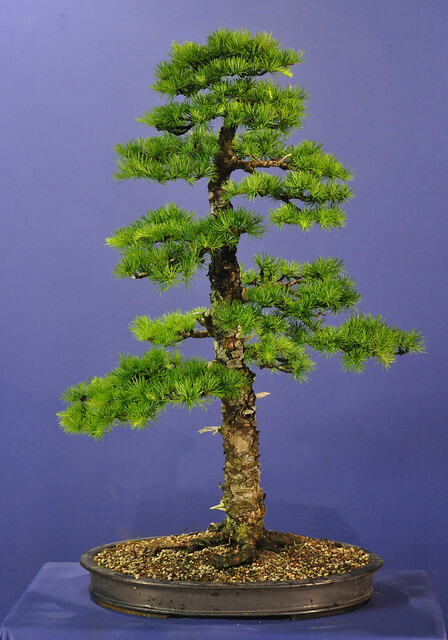 A google search for upright larch bonsai images led me to the 2012 series of pictures. 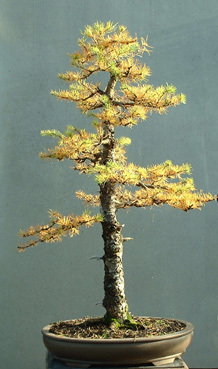 I even printed one of them for inspiration as I had just acquired a nice Larix siberica nursery tree. 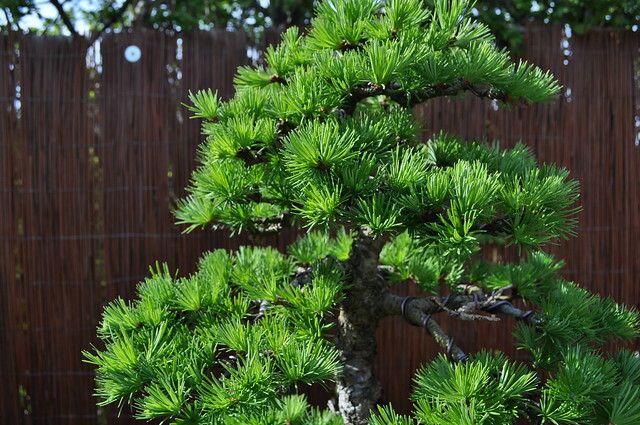 Now in 2014, I was searching for an appropriate pot for a formal upright larch and again, here I am looking at your larch! 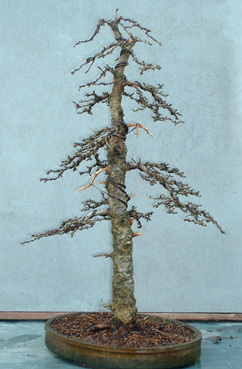 Nice work, and looking forward to future posts with this tree! Thanks for your kind words. The pot is a little unconventional for this one but I think the dark dull glaze works well with the darker tones in the bark.